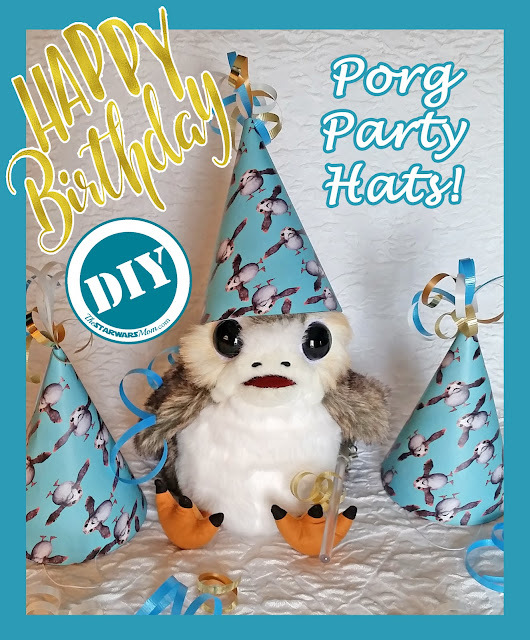 By reader request, I have been creating Porg Birthday Party supplies and crafts that you have free access to use for your parties. These Porg Party Hats are porgfect for a Birthday, Baby Shower, Graduation, or any other party. 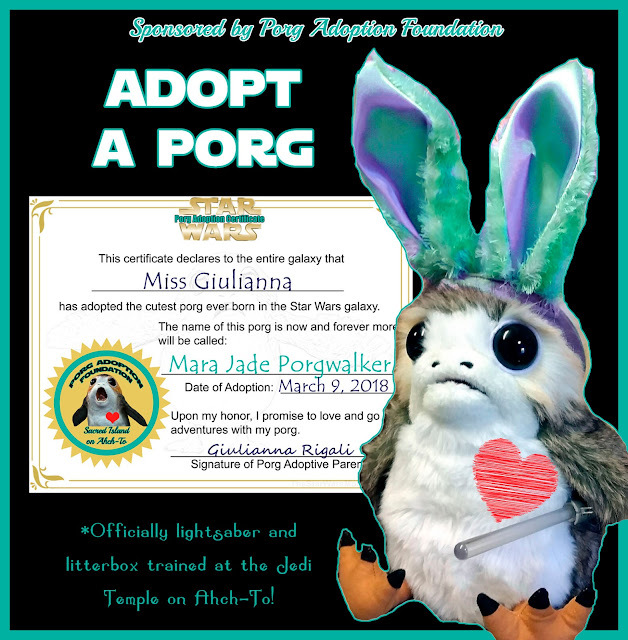 They are Star Wars Porg theme, but they don't have Happy Birthday written on them with this in mind. And you can make it yourself. 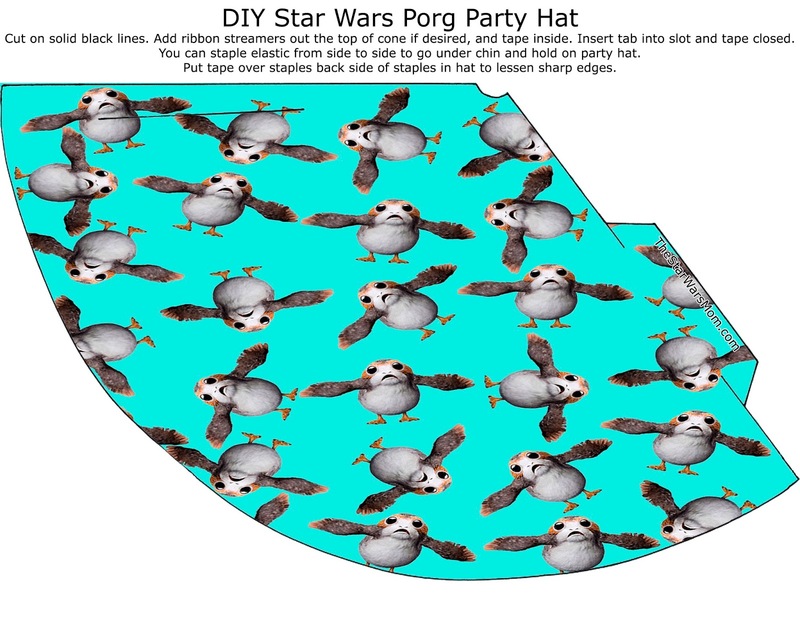 It's a very easy craft or party supply. Using the porg party hat pattern on this post, print it on card stock. Cut the pattern on all solid lines. Cut six pieces of 6 inch curling ribbon and fold in half. Tape folded curling ribbon on back side of hat to stick out of top of hat. Roll hat into cone shape with ribbons sticking out top. Insert tab on side and tape inside. Using scissors, curl ribbons sticking out the top a little, if desired. Take elastic string and tape inside each side of hat. You can cut slits on sides of hat about an inch from the bottom and insert the string there and tape it inside. If you have any questions, you may reach me via social media or the contact form. If you enjoy this, please share it, but be sure to directly link back to this page. 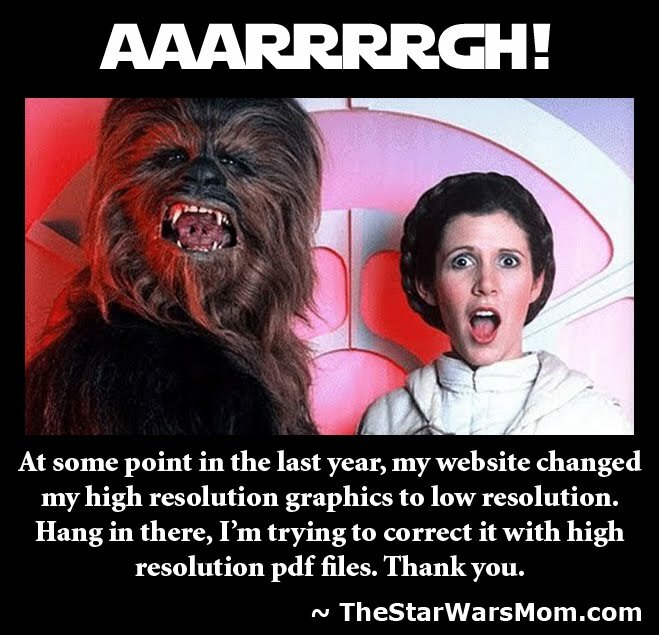 I appreciate your help! 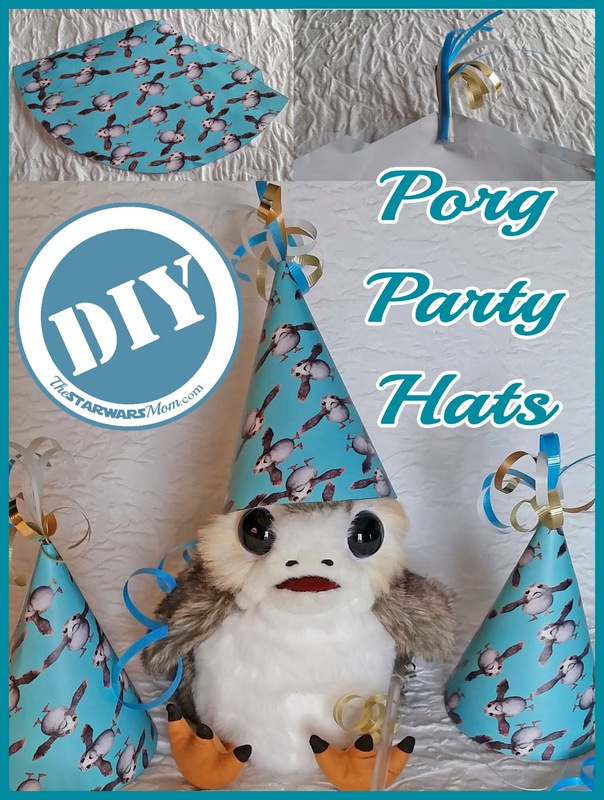 You can also find many other Porg crafts, favors, food, and ideas on this site. Be sure to look on the party planning page or just type porg into my search bar and all the posts will show up.